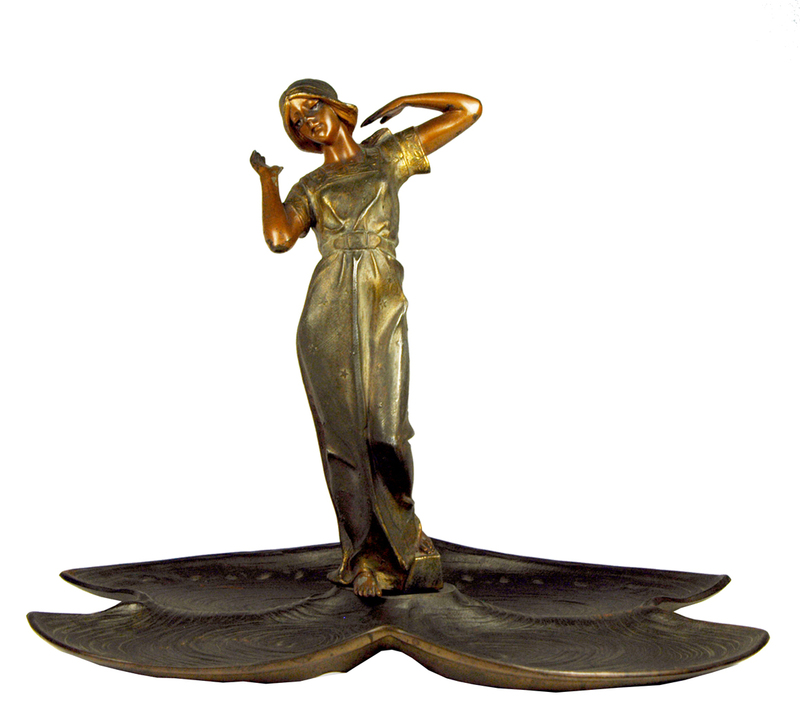 Art Nouveau Figural Centerpiece, depictin a lady in dress standing up in the middle of four shaped dishes. Marked 818 on the bottom. The base is 13" wide x 8 1/2" deep.